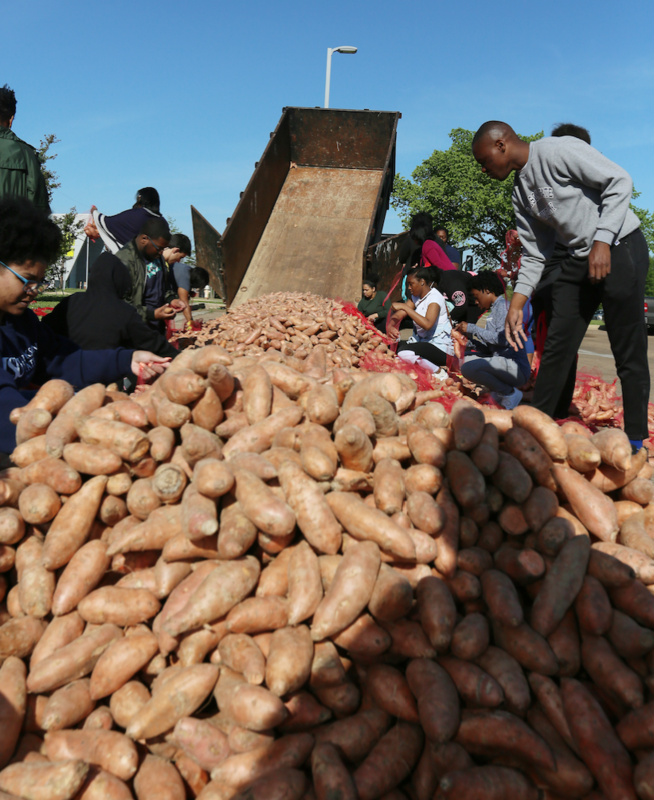 An estimated 2,000 families benefited from this week’s Crop Drop, a biannual event that provides free sweet potatoes to the community from JSU and its partners. 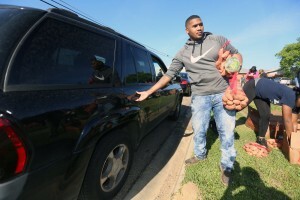 Aside from the nearly 20,000 pounds of potatoes, free heads of lettuce were also distributed Tuesday in the parking lot of Blackburn Middle School near the university campus. Dr. Kimberly Hilliard is executive director of JSU’s Office of Community Engagement, which organized the event. 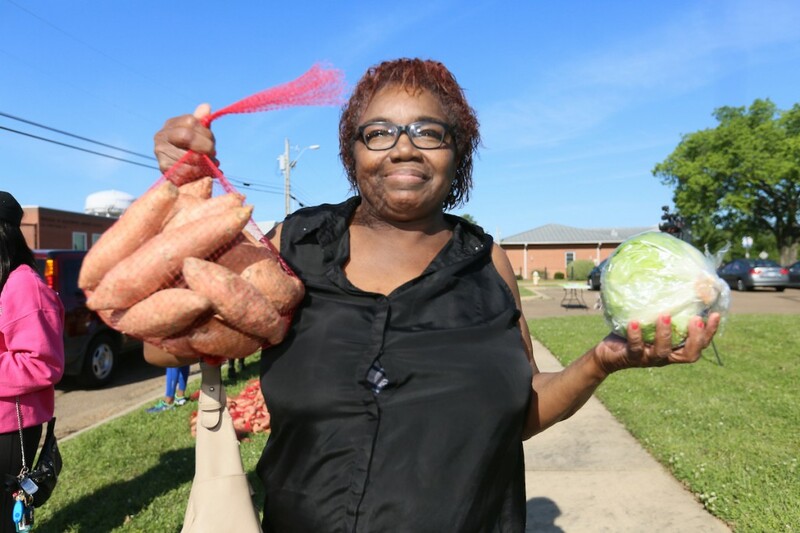 She said a farmer in Vardaman donated the sweet potatoes, and the Mississippi Food Network provided the lettuce. She also said she wants everyone to know that JSU and its students are committed to community service. ‘This is more than just receiving mandatory community service hours because I completed that requirement in my junior year. 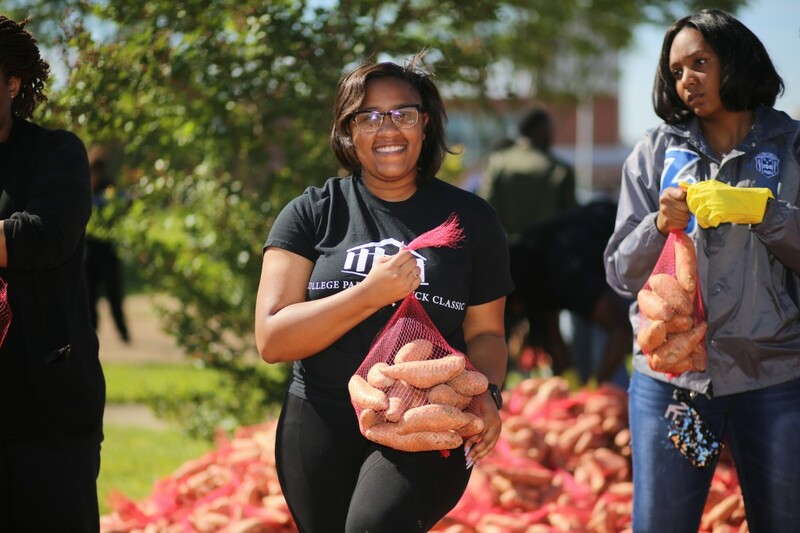 All that I do now is about giving back to the community.’ — Dre’Quan Cooley, a graduating senior studying business marketing “This is one of those events in which the students actually get to interact with members of the community. It’s always great to see this interaction because the community loves our students, and students love our community. 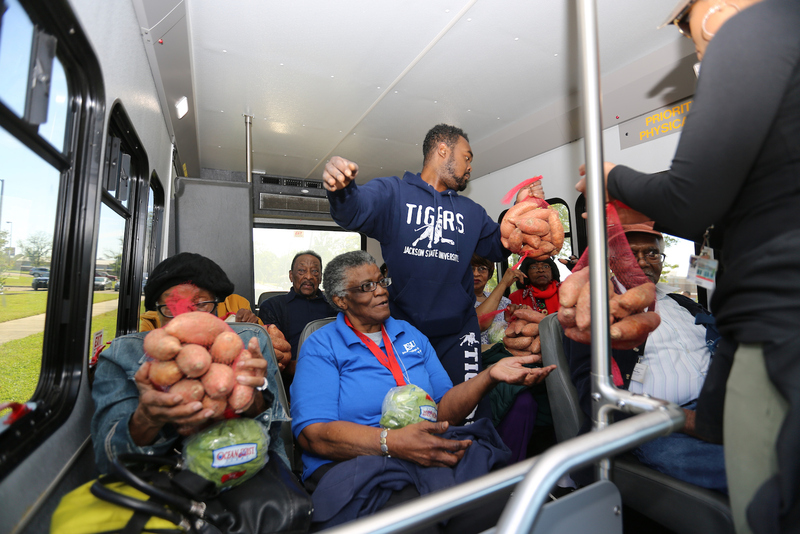 Dre’Quan Cooley, a 22-year-old graduating business-marketing senior, was among dozens of volunteers. 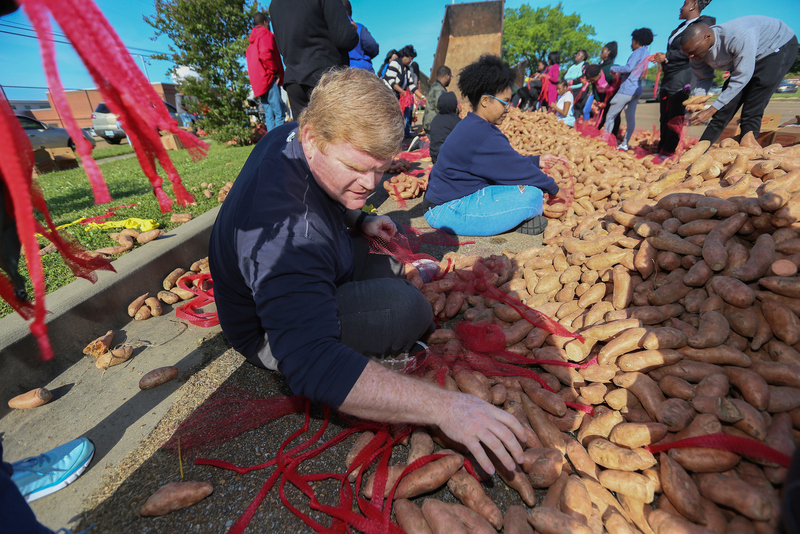 Andy Lemmon works with the nonprofit Society of St. Andrew – one of JSU’s longtime partners with the Crop Drop. “We work with farmers who have surplus food and want to share it with the community. We help to coordinate the logistics,” Lemmon said. “We’re witnessing the community coming together and working. 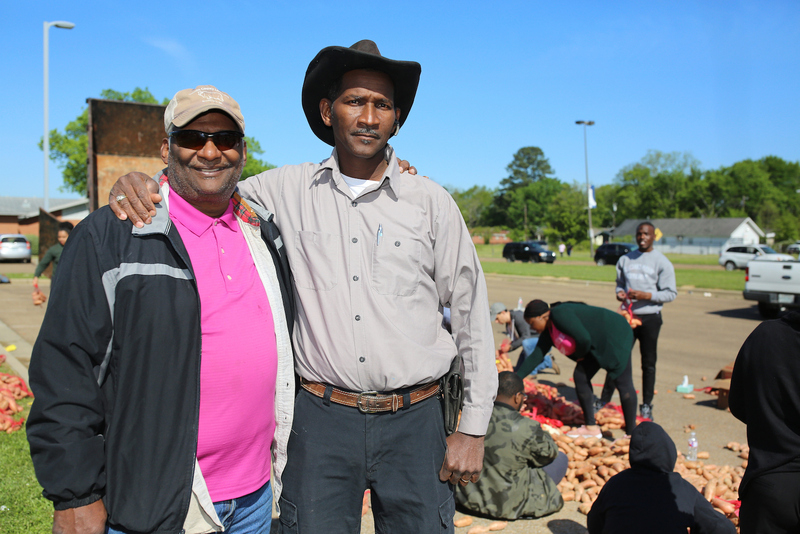 Farmers gave us the potatoes; JSU gave us volunteers; and the community is coming out and helping itself,” he said. Lemmon said this project is a tremendous team effort. “You’ve got all these groups coming together playing a huge role. None of this would have happened working alone,” he said. Mr. JSU-elect Darrian Jackson, a junior physics major from Jackson, was also among the student volunteers. Alvin Ainsworth is a regular visitor to the Crop Drop, too. 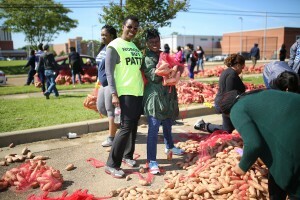 The retired Florence resident gets a case of sweet potatoes right before the event ends to assist his charitable venture. 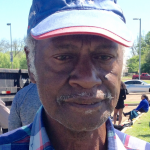 Over a three-day period, he’ll make more than 700 pies for distribution to hospitals and other places throughout the Jackson and Florence areas. Free food, however, isn’t the only great aspect about Crop Drop. Recycling is another element.